Why can microdermabrasion cause breakouts? 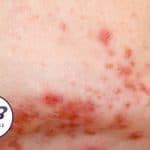 It can be frustrating when you start a course of microdermabrasion to get clearer skin, and after the first treatment, you end up with a new crop of breakouts. But don’t despair! It is absolutely normal for some people to experience this, and it’s not necessarily a bad thing. We can’t stress this one enough, it’s absolutely essential that you don’t pick a single spot while you’re having microdermabrasion. Most small breakouts will disappear without a trace if you leave them alone, it’s only if you pick them that they leave a scar. And if you poke and prod them, they will get redder and more swollen, making it more likely that they will leave a mark behind, so no touching either! Apply an anti-blemish gel at night, using a very clean index finger, but don’t do anything else. Your skin is protected by a layer of water and oil called the hydrolipidic film. It’s made up of sweat (water) and sebum (oil). When you get dehydrated, you sweat less, and this reduces the amount of water in the hydrolipidic film. Your skin compensates by producing more oil, and excess oil can trap dead skin cells, causing blocked pores. Microdermabrasion increases cell turnover, which means more dead skin cells, so make sure your hydrolipidic film is well-balanced, to make sure that the old cells don’t get trapped in your pores. It’s tempting to attack spots with harsh cleansers, acids and rough scrubs, but don’t fall for it! You’ll only irritate your skin. Instead, carry on with your skincare routine as advised by your therapist. You could also switch to a gentle, purifying face wash or a slightly lighter cream, but stay away from harsh products, and let your skin heal instead. A back facial you say? Tell us more! Does eating junk food really = acne prone skin?